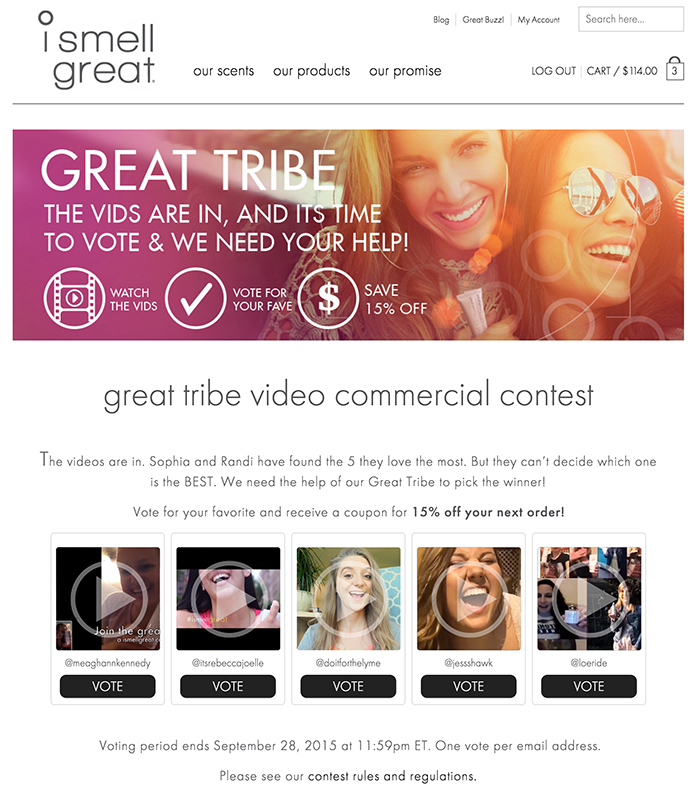 As a way to engage with the i smell great social following (the Great Tribe), a video contest was put together where followers of the brand were asked to put together a short video commercial for the brand and post it to their Instagram page with the hashtag #greattribe. Five finalists were judged by the co-founders of the brand, Sophia Bush and Randi Shinder. The grand prize winner was determined by a voting system. The final five videos were displayed directly from Instagram into a customized user voting interface. Services: Marketing Strategy, Responsive Web Design and Development, Turn-key Contest Consulting.